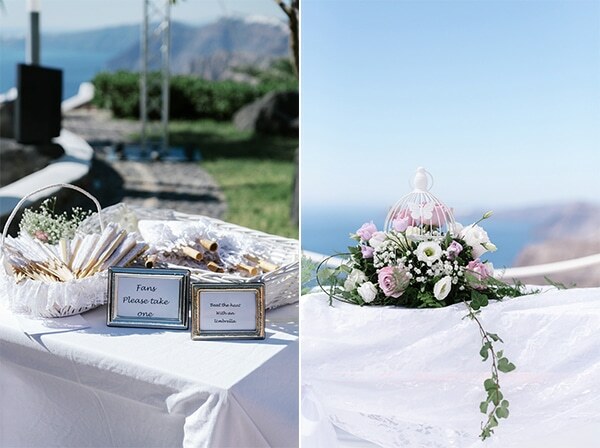 Dreaming of a destination island wedding overlooking the deep blue sea? 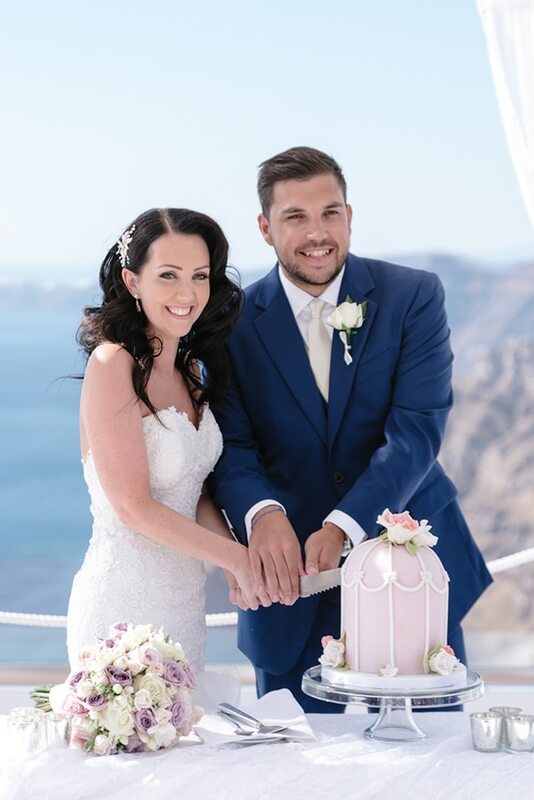 Well, today’s pink and lilac wedding in Santorini is for you! 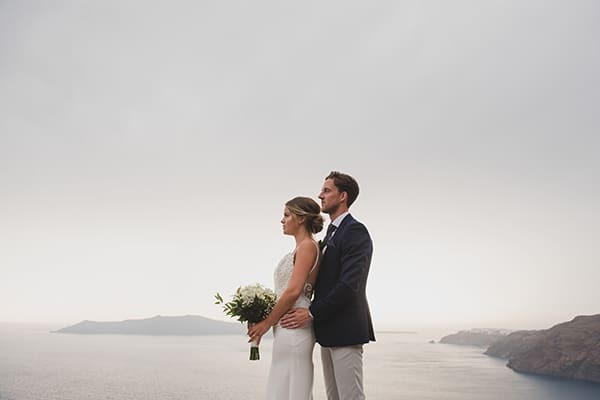 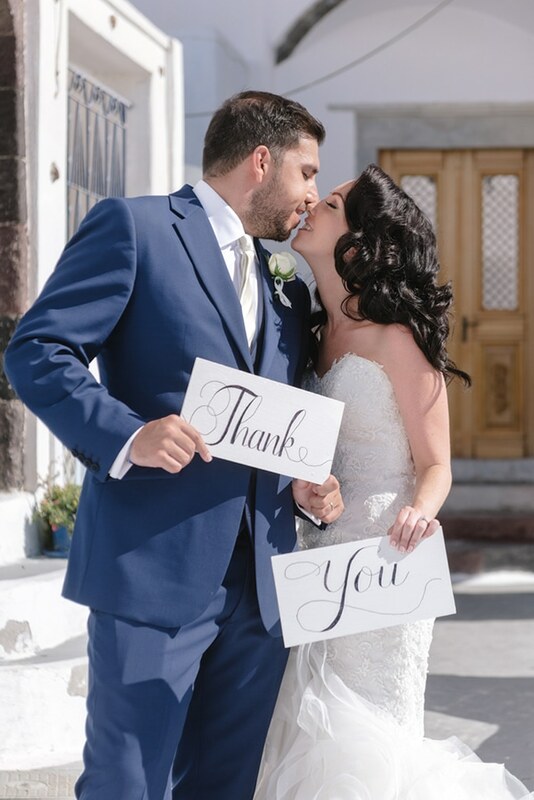 Stacey and Chris planned a perfect wedding in Santorini, Greece, where the natural beauty and the gorgeous sunset can enchant you! 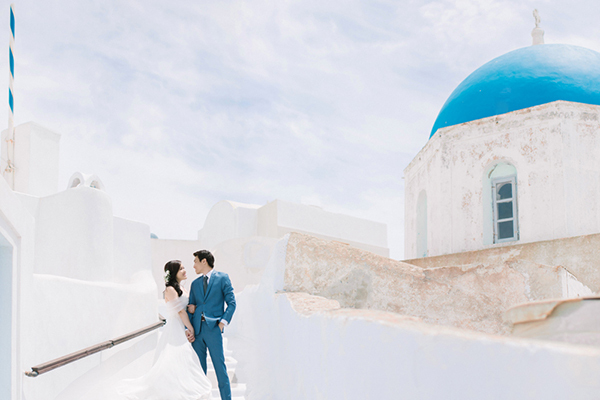 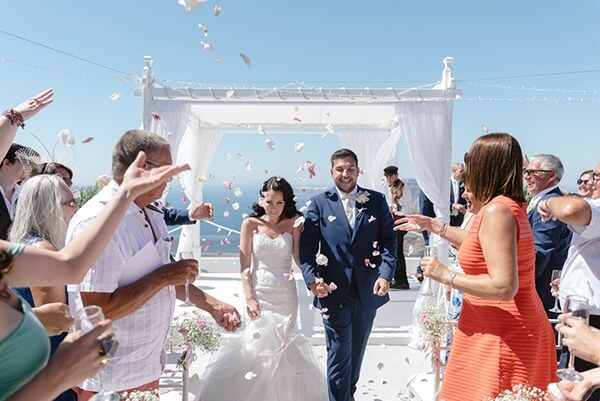 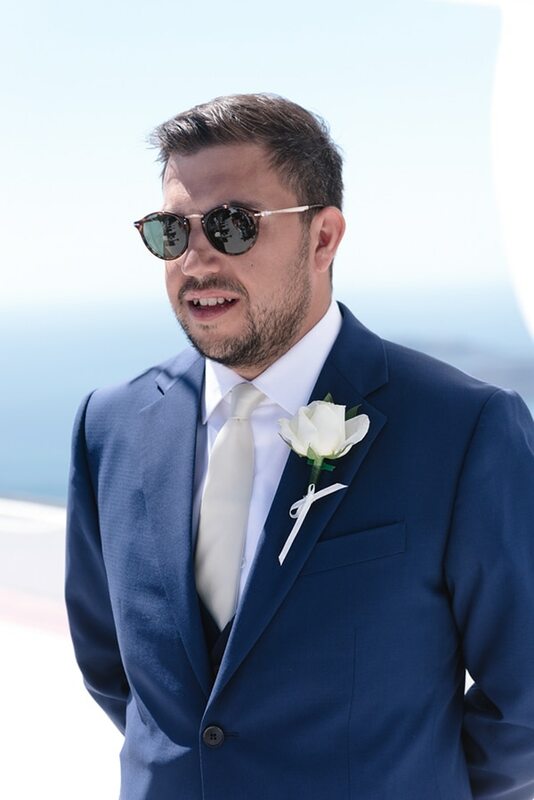 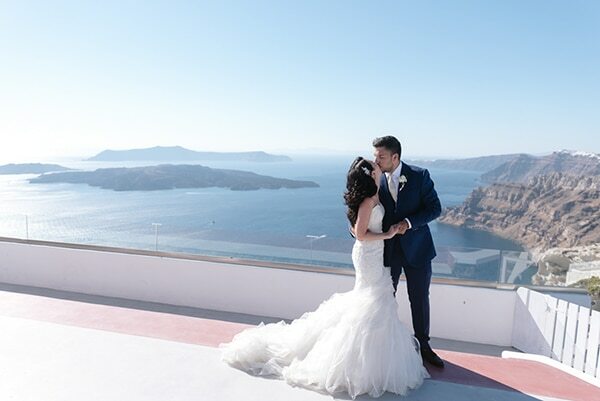 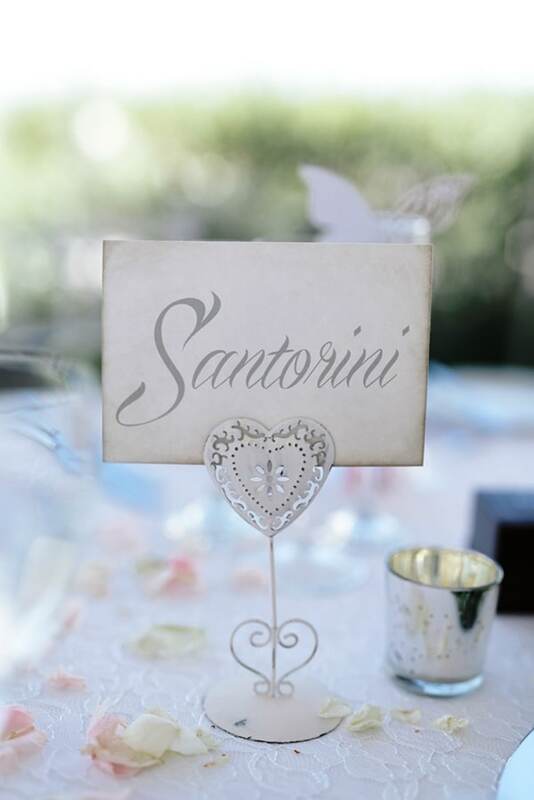 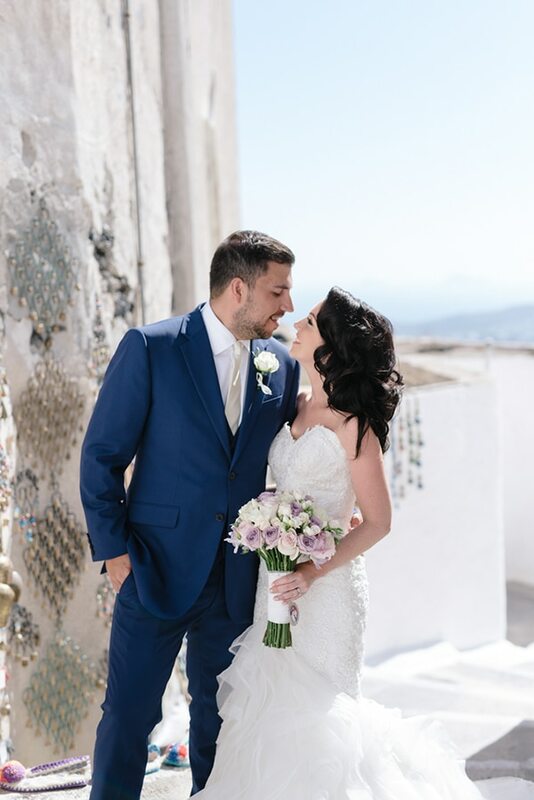 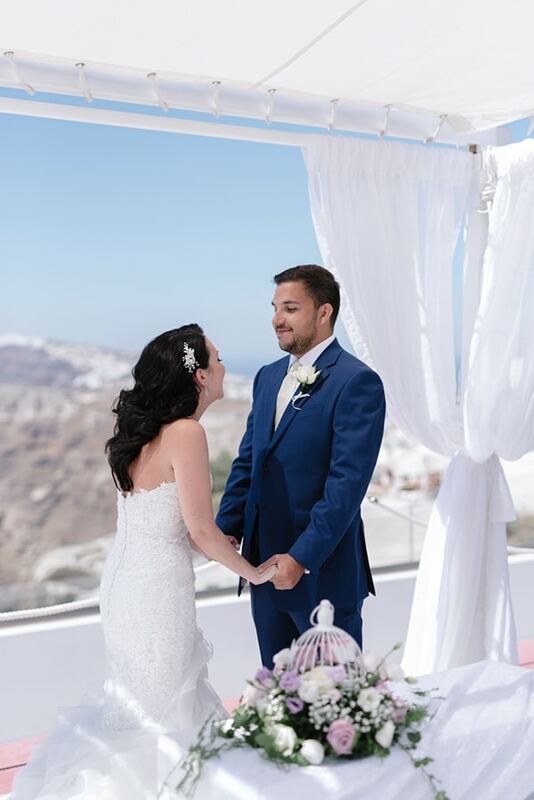 The ceremony was held in the Santorini Gem, a venue with a breathtaking view and a dreamy decoration. 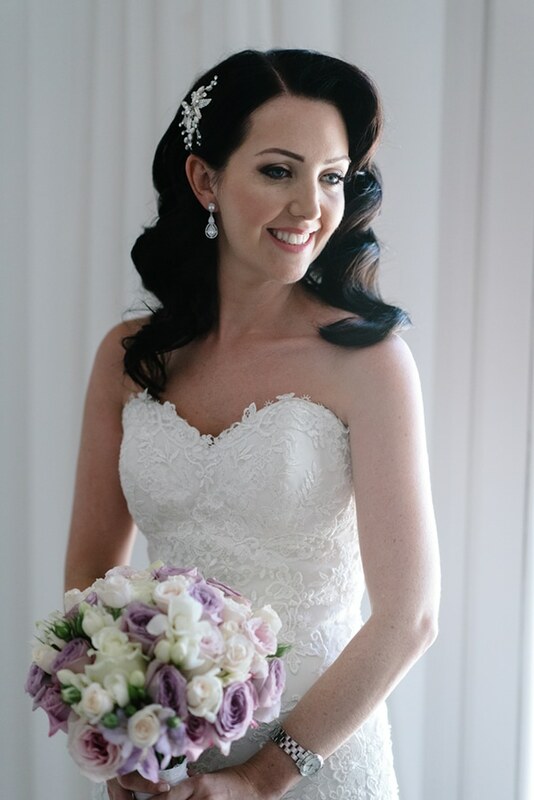 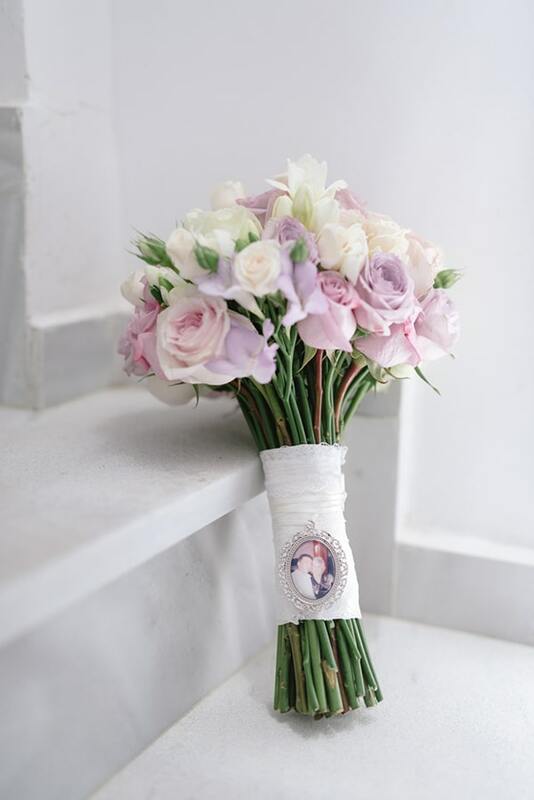 The beautiful bride dreamed of a romantic, warm wedding with a fairytale decoration, so she chose sweet colors like pink, lilac and white/cream. 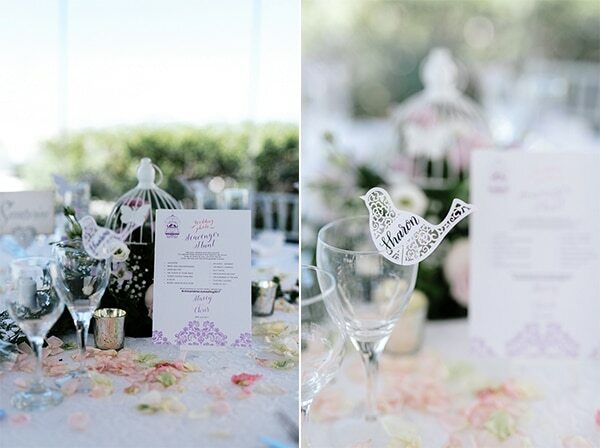 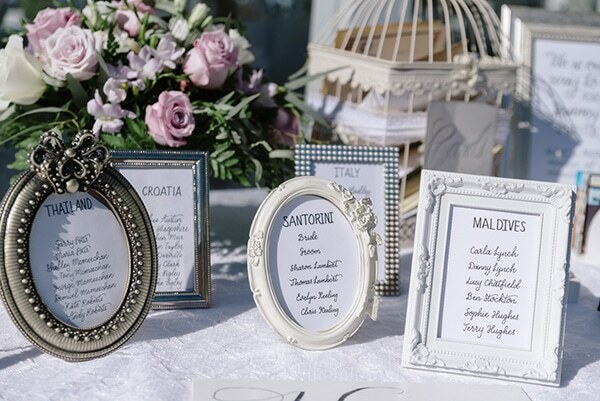 The guest’s tables were adorned with vintage, romantic details such as cages, birds, pink and lilac flower designs and many petals. 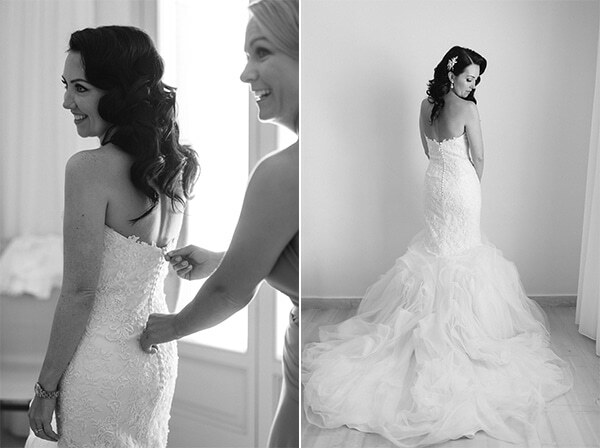 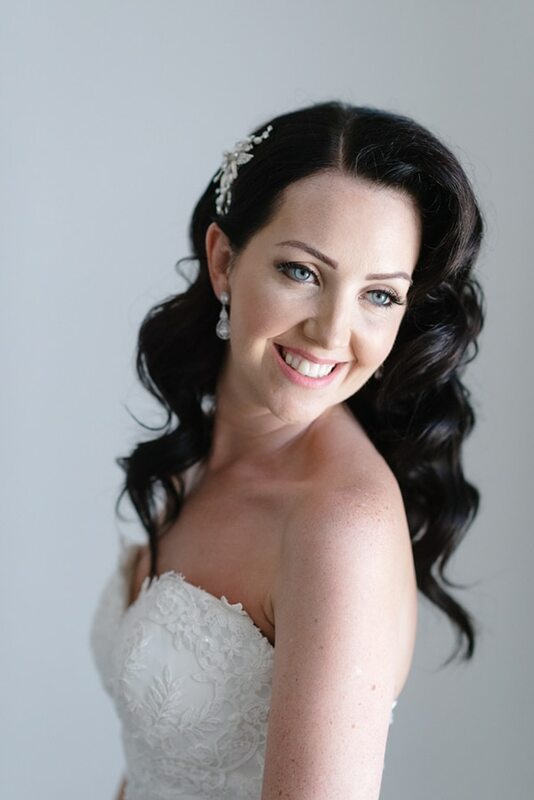 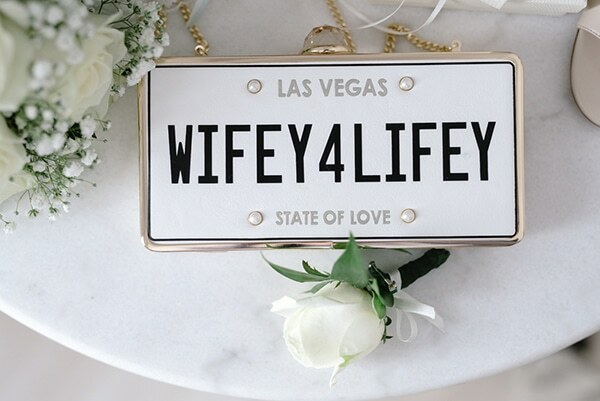 You won’t want to miss a single image from this wedding captured by Nathan Wyatt Photography! 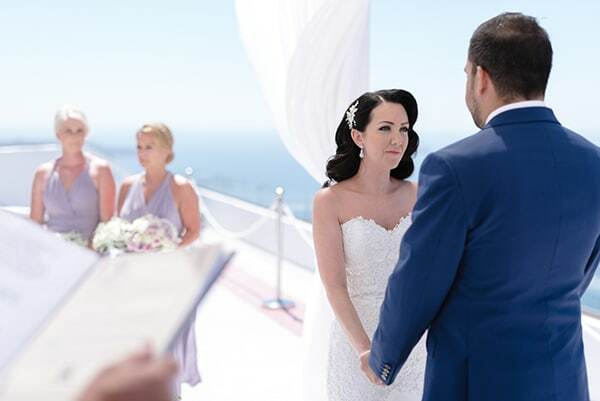 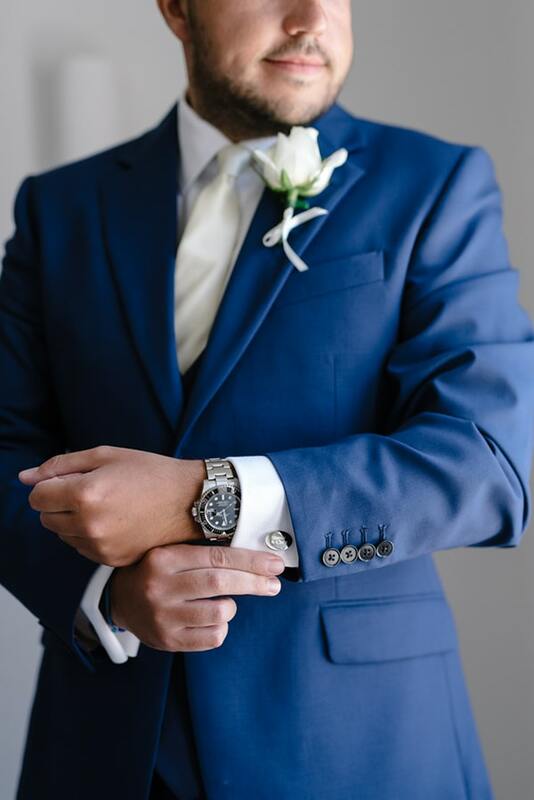 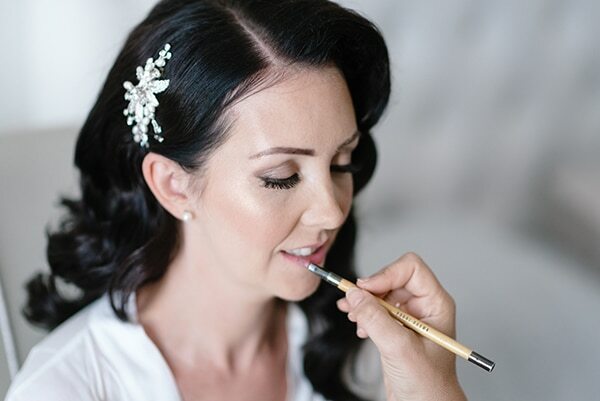 “We met at a party on the Palm Jumeriah Dubai in 2011 (We are UK Expats living in Dubai) Chris proposed in April 2016 in Krabi Thailand at the Tubkaak Boutique Resort, voted one the most romantic hotels in Thailand”, the bride shared with us.